Highest quality Portuguese olive oil in a gourmet tin can. 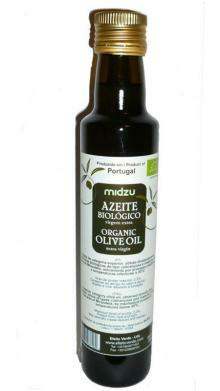 Superior category olive oil, obtained directly from organic olives of types cobrançosa and madural, from Mirandela region, Portugal, by mechanical process at temperatures below 30ºC. It comes in a lovely gourmet cylindrical can, easier to carry and protected from light, thus helping to preserve the unique characteristics of this olive oil. Delicious for salad dressing or as a spread. Protect from heat and light. May naturally create deposit and residue.